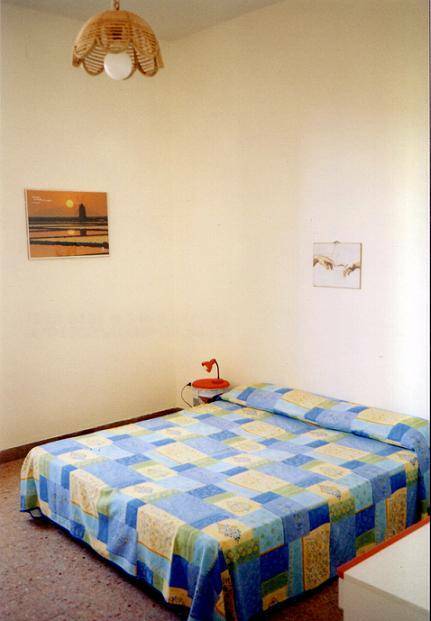 Located on the slopes of Mount Erice, in a building on two floors, the B&B KAIRE offers the possibility to accommodate in wide and bright rooms. it enjoys a favorable position, from which it is easily to reach the most important tourist destinations of Western Sicily. Near the motorway A29, it is an ideal place to spend both an itinerant holiday and a business trip. KAIRE B&B is far from the exit Trapani of the motorway A29 just 2 Km and far from the cableway, which links Trapani with the Mount Erice, just 1 Km. It is located in a favorable position, from which it is easily to reach the most important tourist destinations of Western Sicily: Mount Erice (10 minutes), the Natural Reserve of Saline and the Natural Reserve of the Stagnone (15 minutes), Egadi Islands (45 minutes), San Vito Lo Capo and the Natural Reserve of Zingaro (45 minutes), Segesta (20 minutes), Selinunte (1 hour and a quarter), etc.. In addition, KAIRE B&B is far from the Trapani airport just 20 Km and from the Trapani port and city center just 7 Km. Motorway A29, towards Trapani, turn right and go straight on crossroads. Turn left and follow the signs Aosta. After 200 mt, you will find Kaire B&B. follow the signs Aosta and go straight for 200 mt.